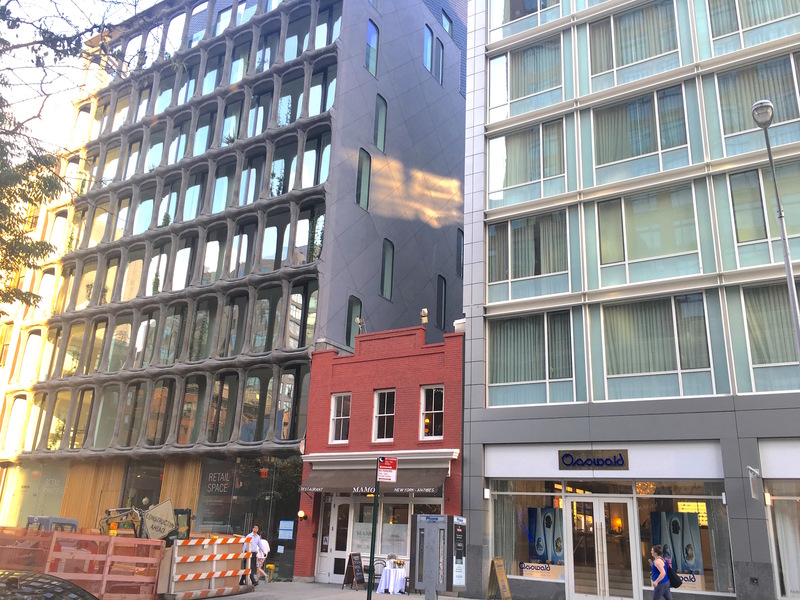 If most developers had their way, contemporary New York’s skyline would probably consist of an unbroken chain of modern monoliths reaching into the sky. 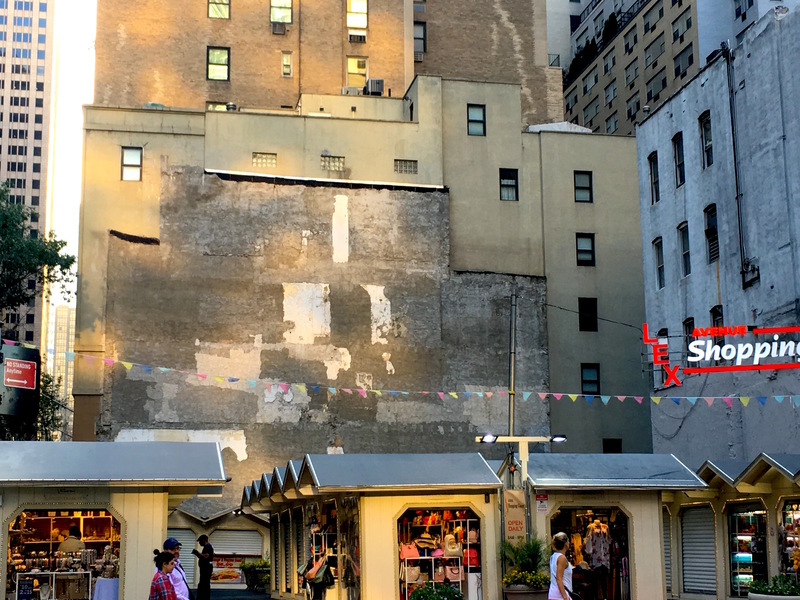 Luckily, thanks to real estate owners who refused to sell their smaller-scale carriage houses, tenements, and humble 19th century walkups, the cityscape is filled with lovely low-rise reminders of a very different Gotham. 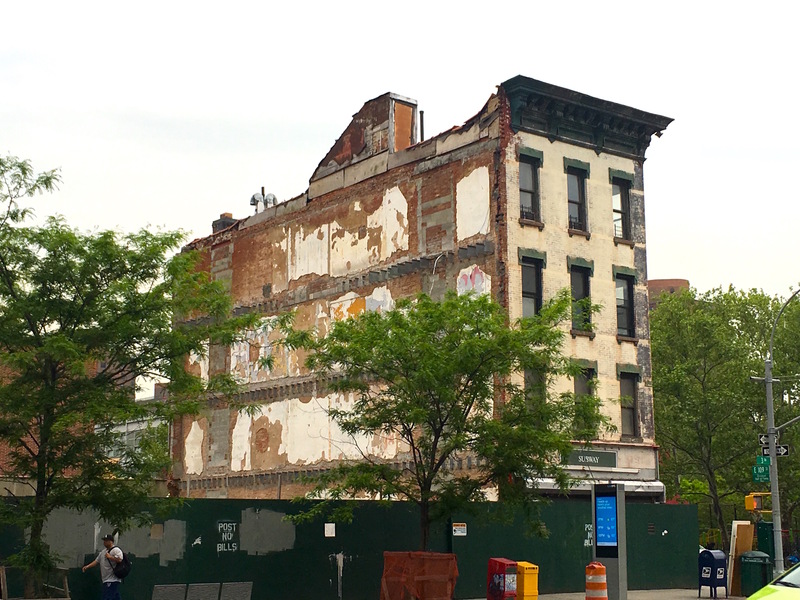 The slender, circa-1893 beauty (above) at 249 West End Avenue beat the wrecking ball because the widow who occupied it refused to sell—even as the four identical homes on either side of hers were demolished in the 1920s, according to Daytonian in Manhattan. 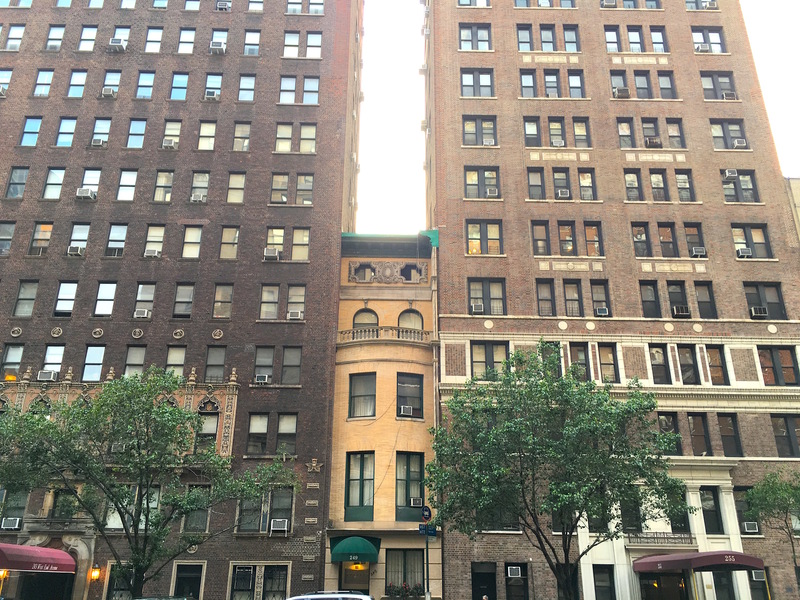 Streeteasy says that this dollhouse-like carriage house (above) at 407 Park Avenue was built in 1910. 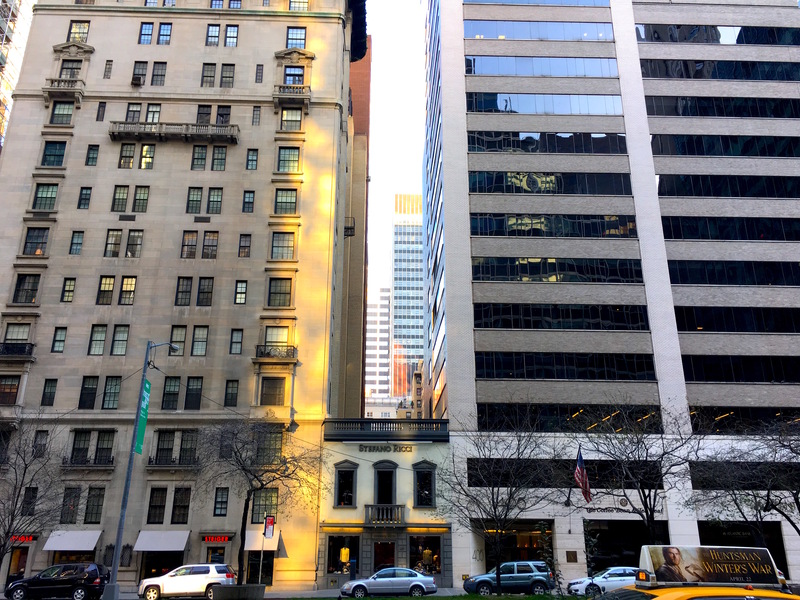 The tie shop on the ground floor is dwarfed by its Midtown neighbors. This wide, four-story yellow row house was probably the prettiest home on East 57th Street near Sutton Place when it was built. 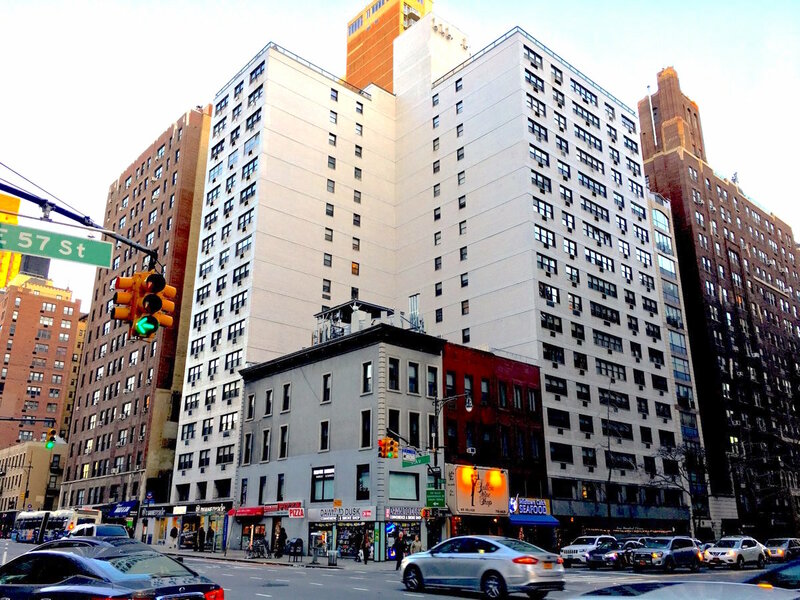 Now, it’s sandwiched between two handsome apartment towers. 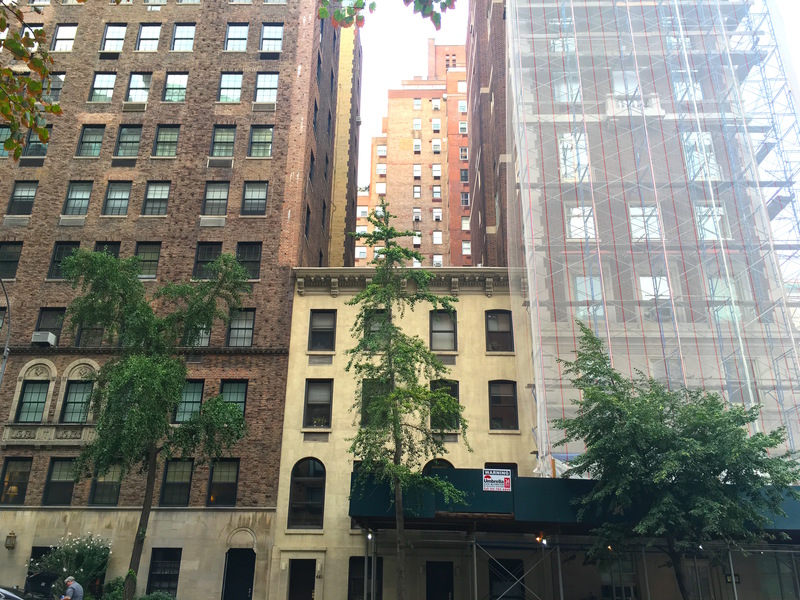 Also on East 57th Street but closer to Midtown are these two very typical 19th century tenements, nestled inside a 1960s white brick apartment house. This little red charmer on West Broadway looks like it comes from the 19th century. 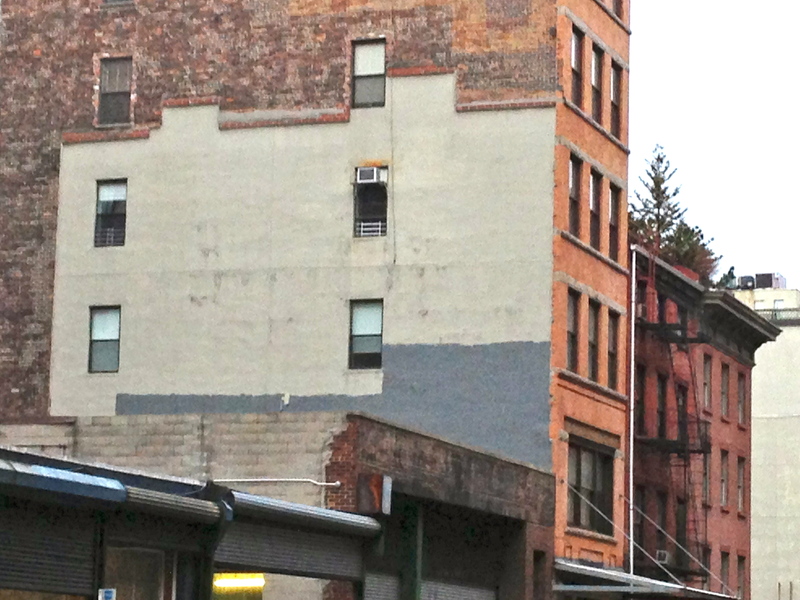 According to Streeteasy, it was actually built in 1950. That’s okay—it keeps the two modern monsters on either side of it at a nice distance apart. New and old New York collide on the sides of buildings all over the city. 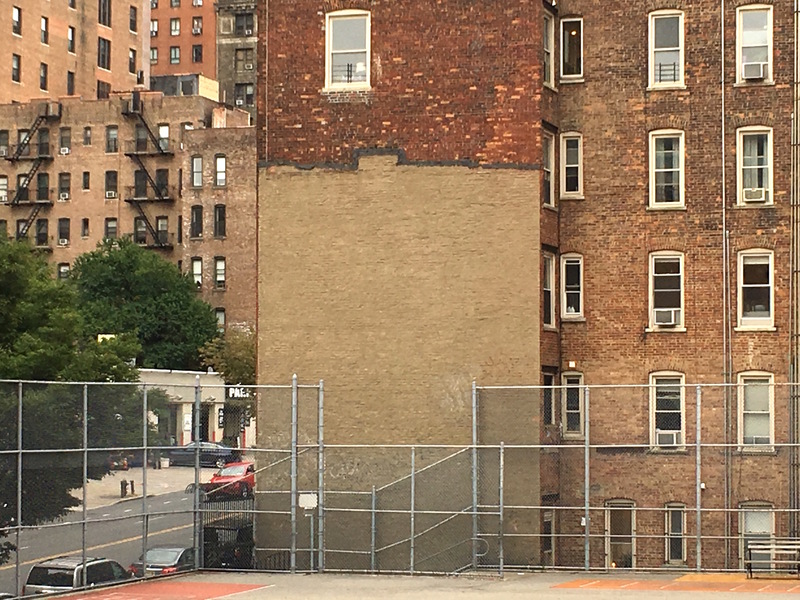 Sometimes the faded pattern of a dormer window or chimney is visible for years, other times just a days before developers cover these remnants forever. 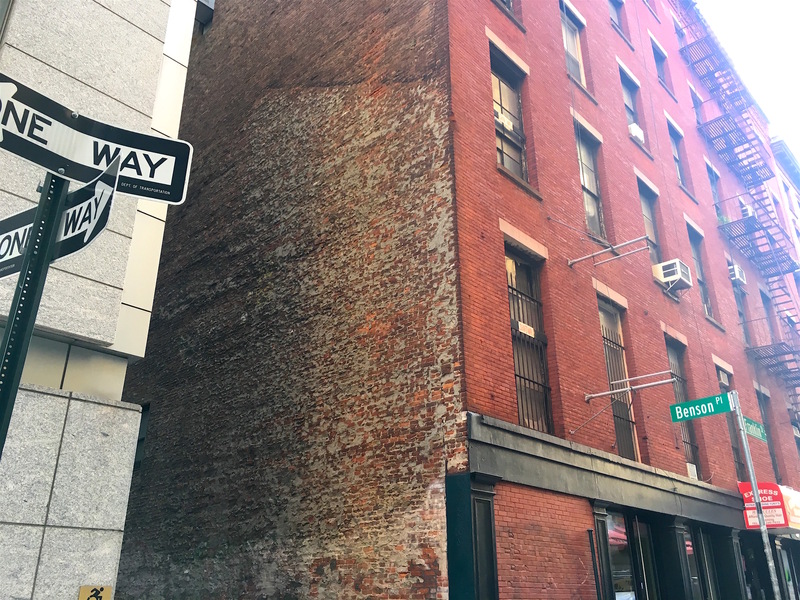 The building that once stood here on the corner of Greenwich and Vestry Streets in Tribeca, below, doesn’t look fancy. 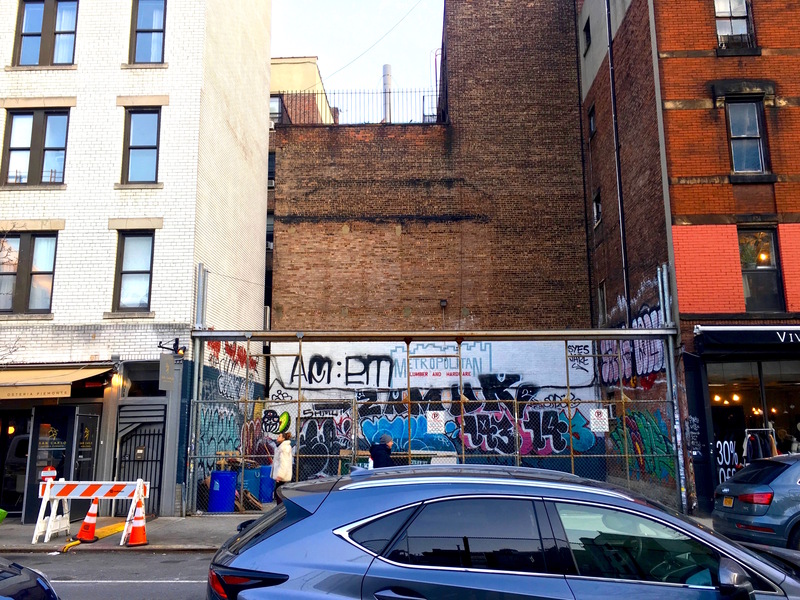 It was probably just a regular walk-up with six or eight apartments in what had been a neighborhood of light industry for most of the 20th century. But it sure left a formidable impression. 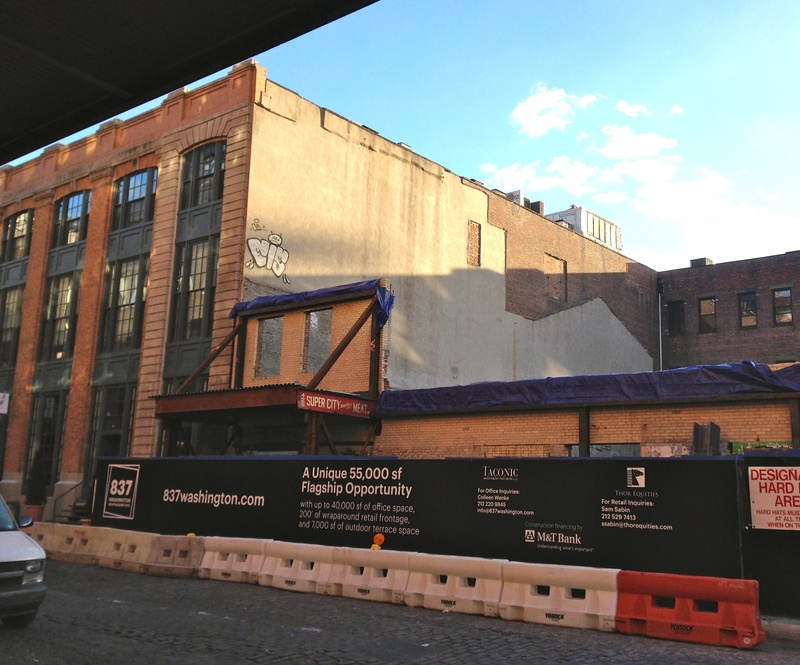 I love the sloping roof on this long-gone building on Washington Place in the Meatpacking District, below. Was it a garage? Warehouse? Meat packager? 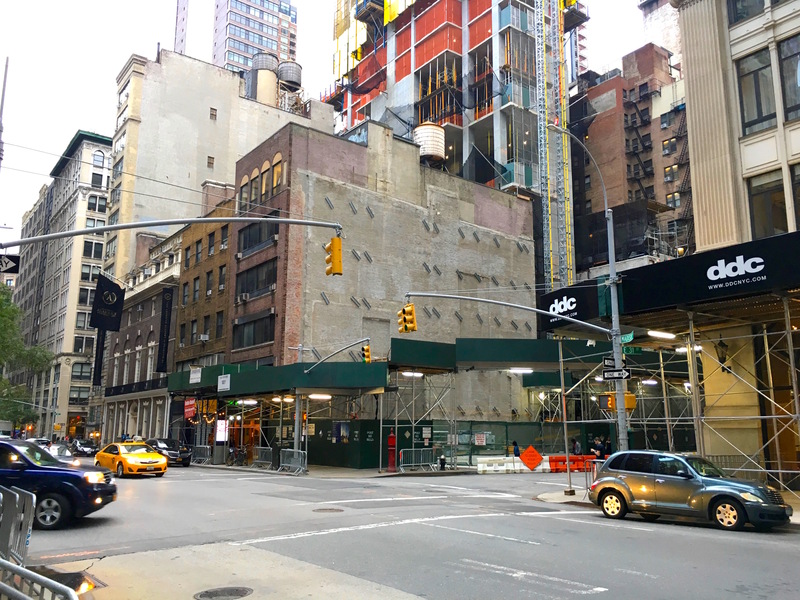 I have no idea when it went down, but it’s being obliterated forever in favor of another restaurant or boutique or luxury hotel. 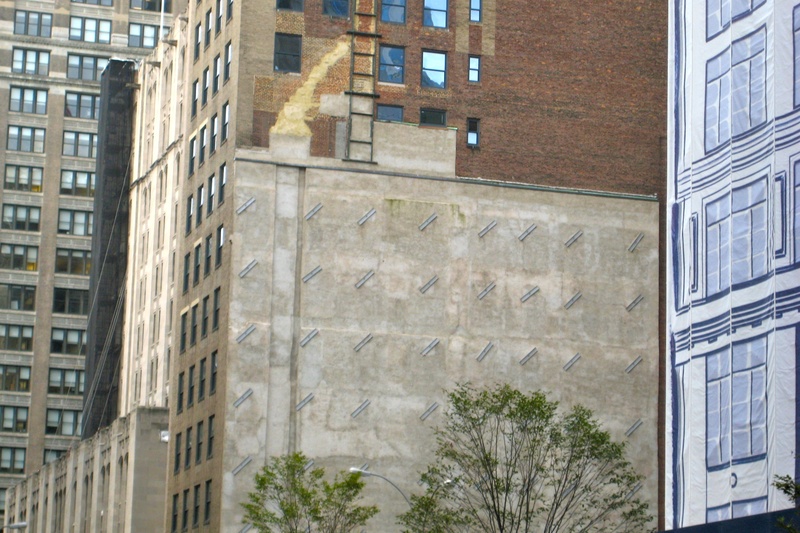 On 31st Street near Fifth Avenue is the imprint of a sturdy chimney and a roof on a slight incline. 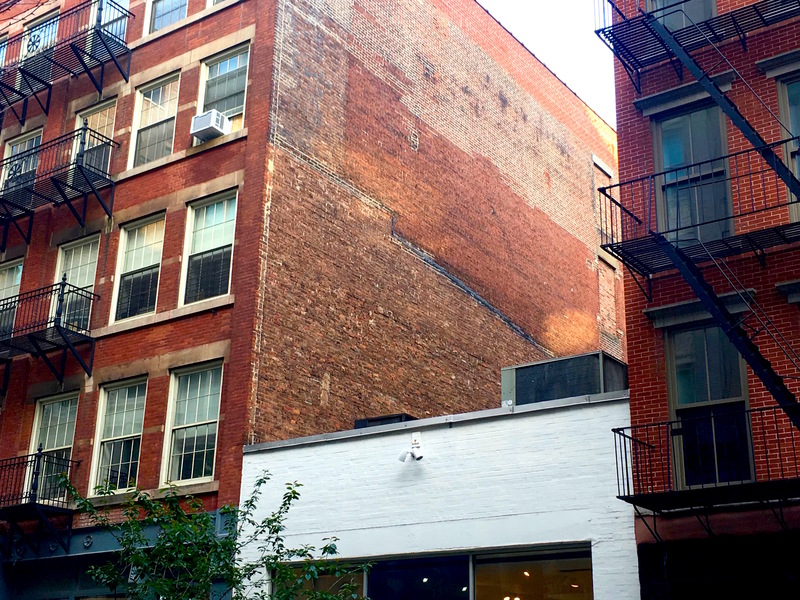 A coat of paint almost covers most of it up, but a sliver remains of what was once someone’s home. 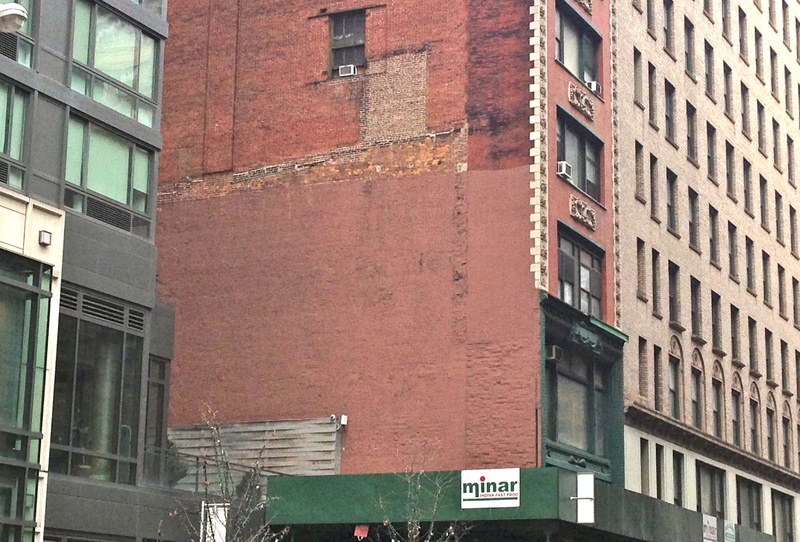 The best thing about this bulldozed building on East 29th Street? The phantom smoke coming out of the pattern of a chimney! 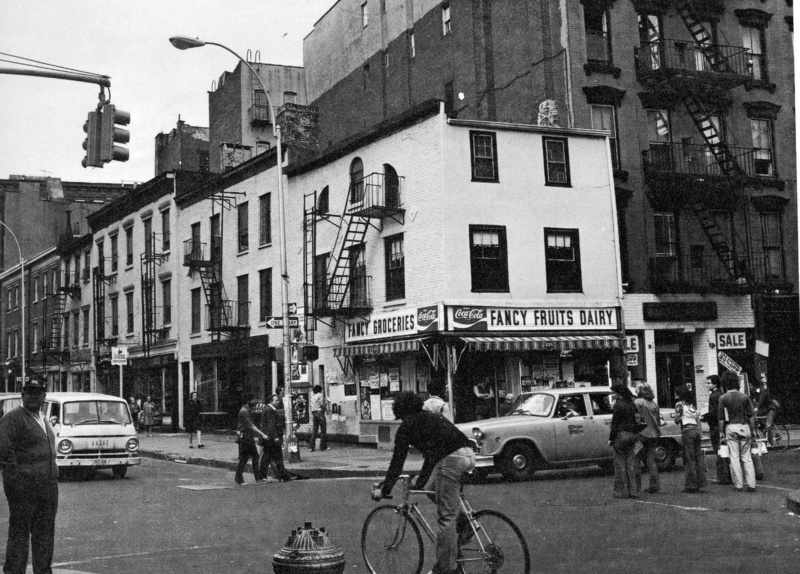 Decades before Marc Jacobs, Ralph Lauren, and Magnolia colonized Bleecker Street in the West Village, it was a small-scale main street running through the Village’s thriving Italian neighborhood, packed with groceries, fish stores, and bakeries. 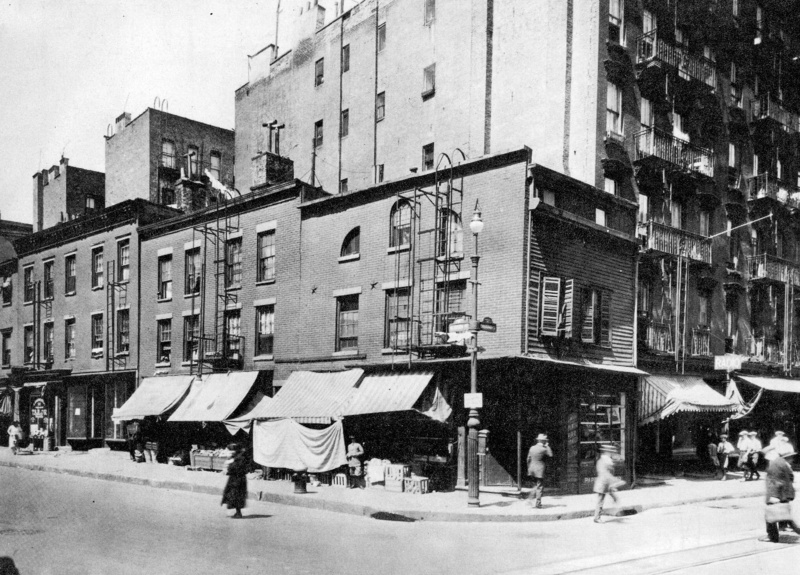 This little building, on Bleecker and Christopher Streets, looks like a grocery; see the crates getting some shade (no AC back then) behind the canopy. It was constructed between 1802 and 1810, predating the city’s grid system. The photo is from 1925. Over the years the little house and storefront continued to be used as a grocery store or deli. Here it is in 1975. Looks like it was painted white. Today, the house—and remarkably, the other houses around it—still stands. 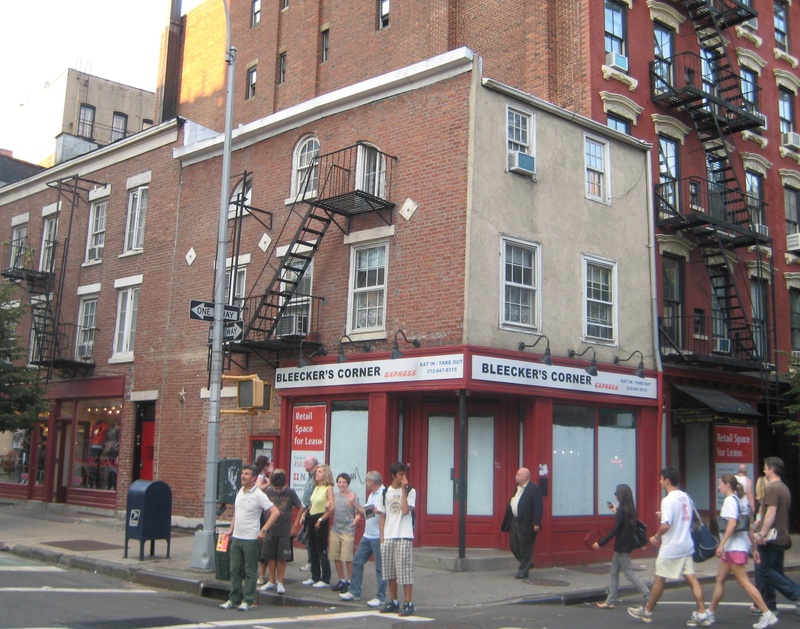 The clapboard siding, shutters, and old-style lamppost are gone, but the little quarter-round windows remain.